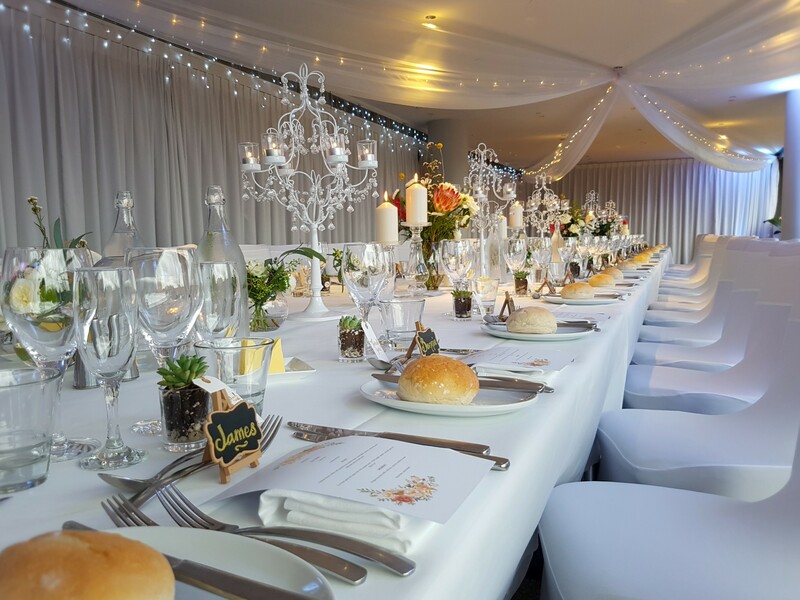 A wise person once said that life shouldn’t be measured by the number of breaths we take, but by the number of times our breath is taken away! 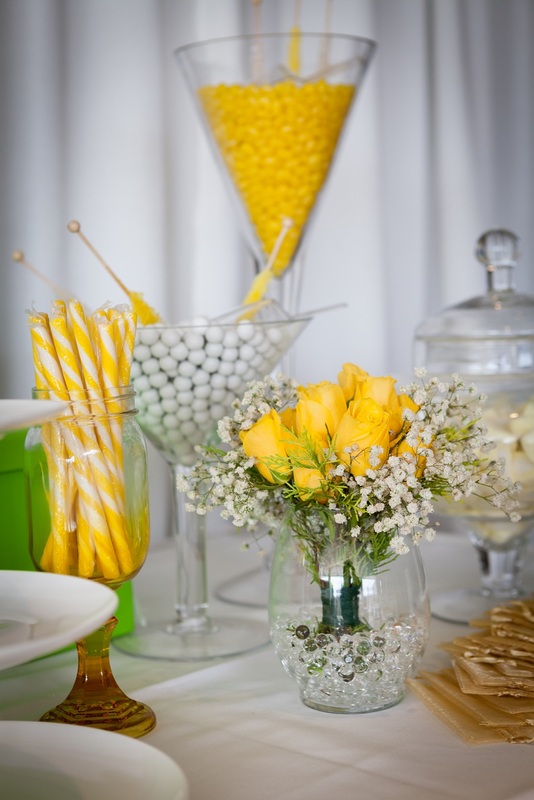 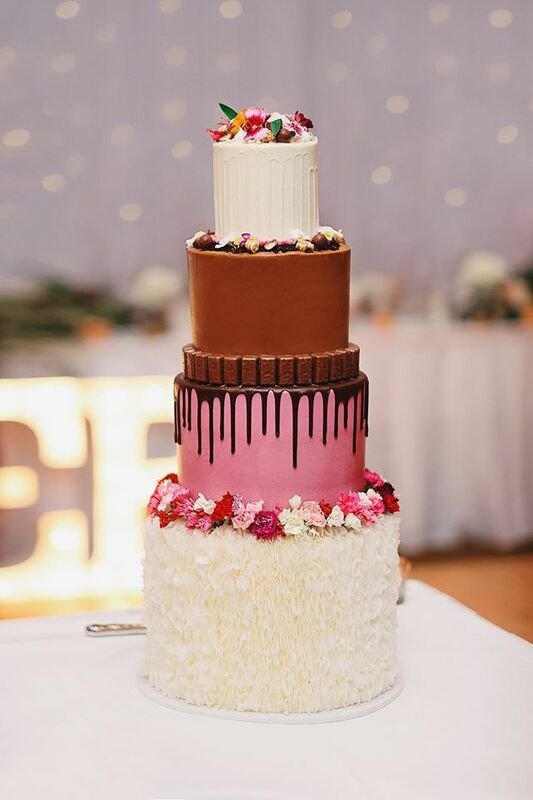 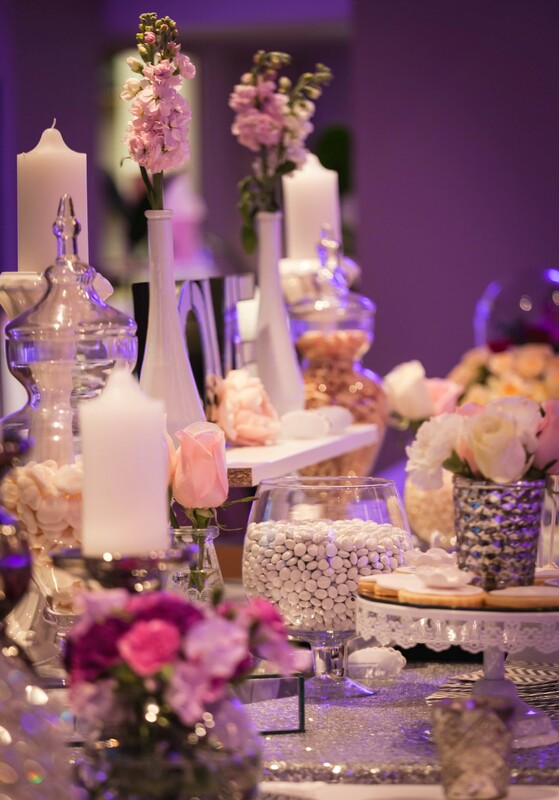 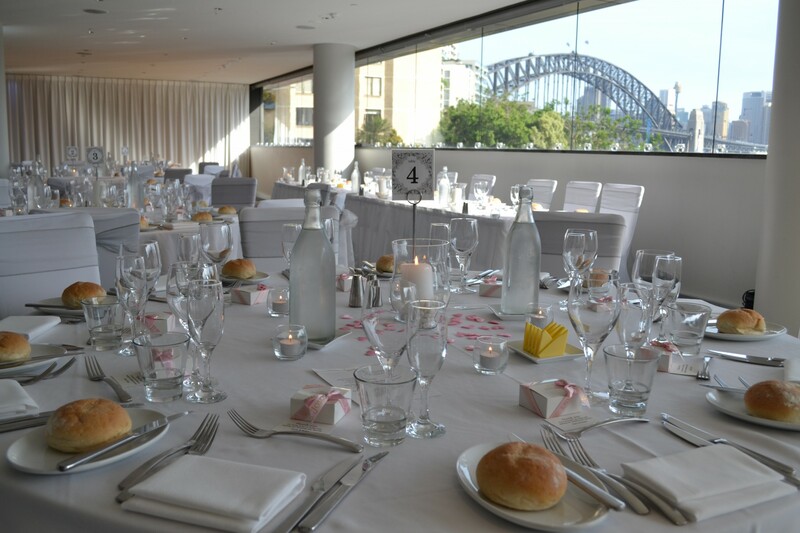 That is exactly what we intend to create on your wedding day at the Kirribilli Club. 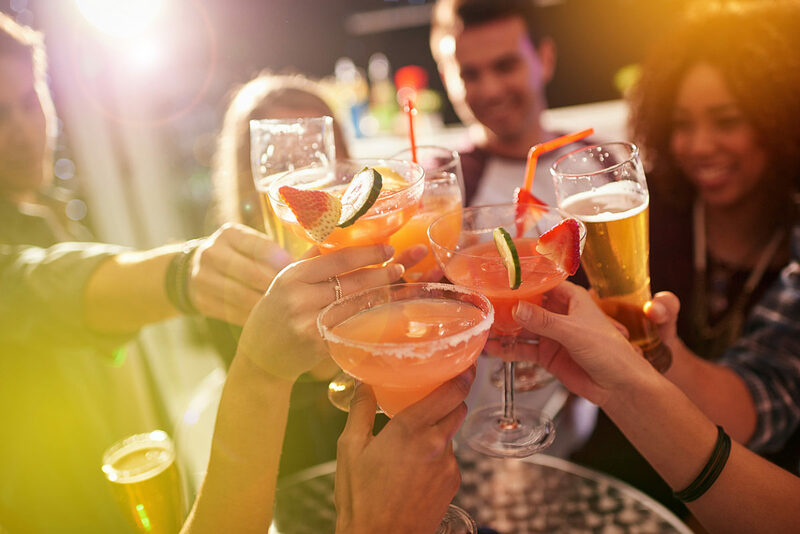 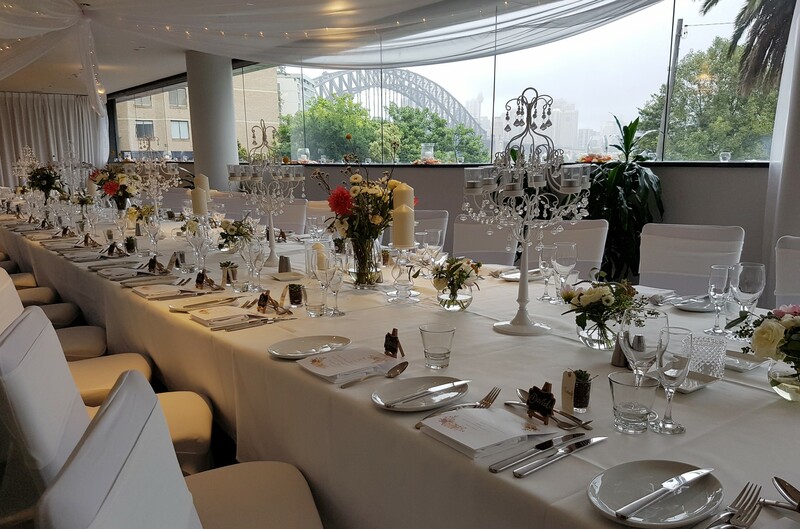 With two amazing functions spaces available, and the ability to cater for 50 – 300 guests, you will take comfort in knowing we have the perfect space for you. 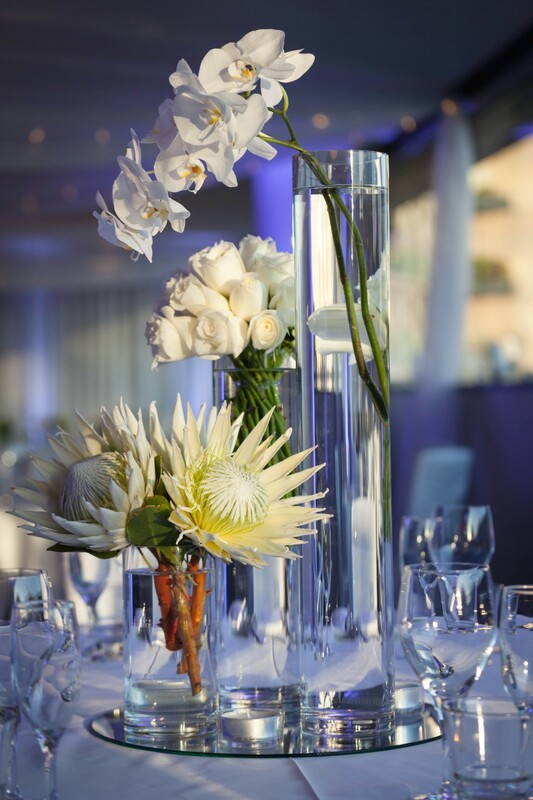 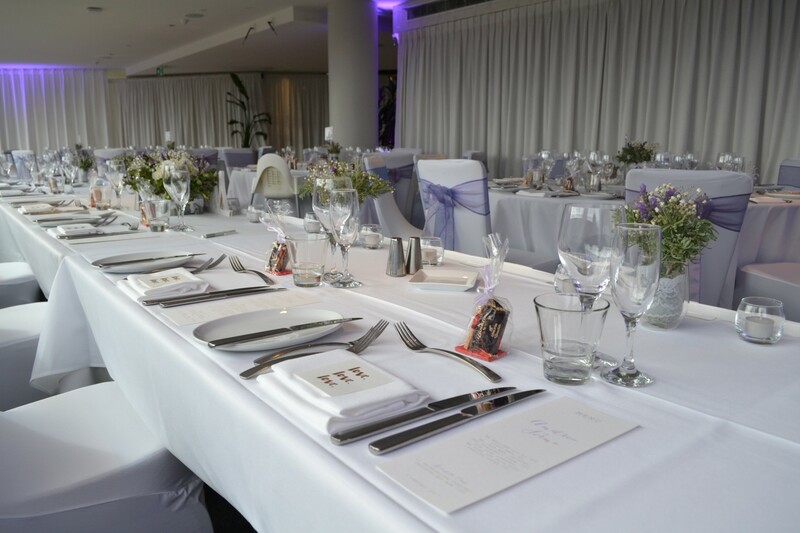 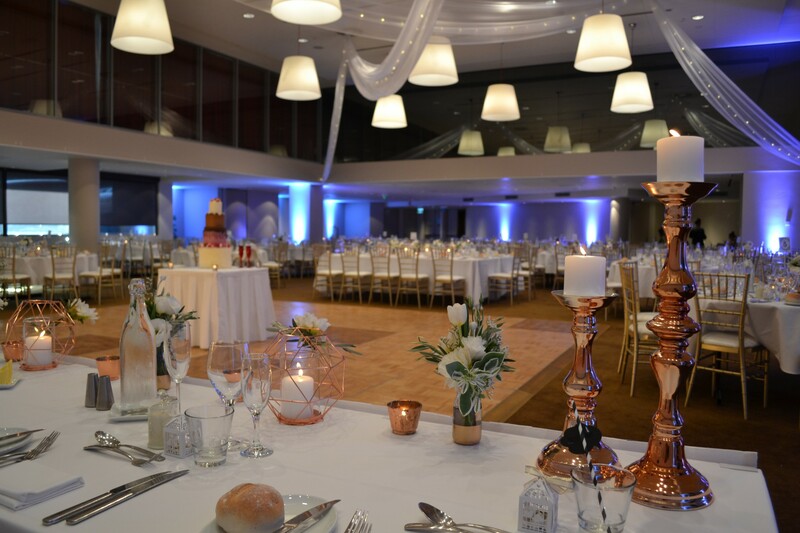 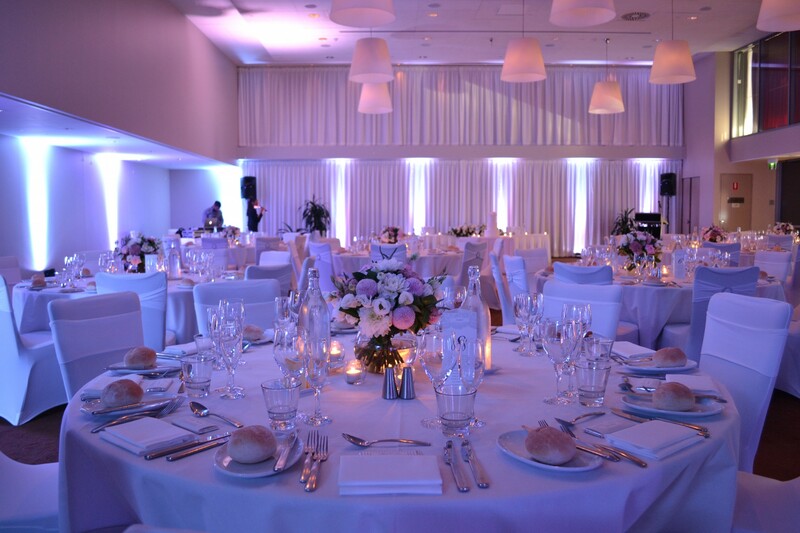 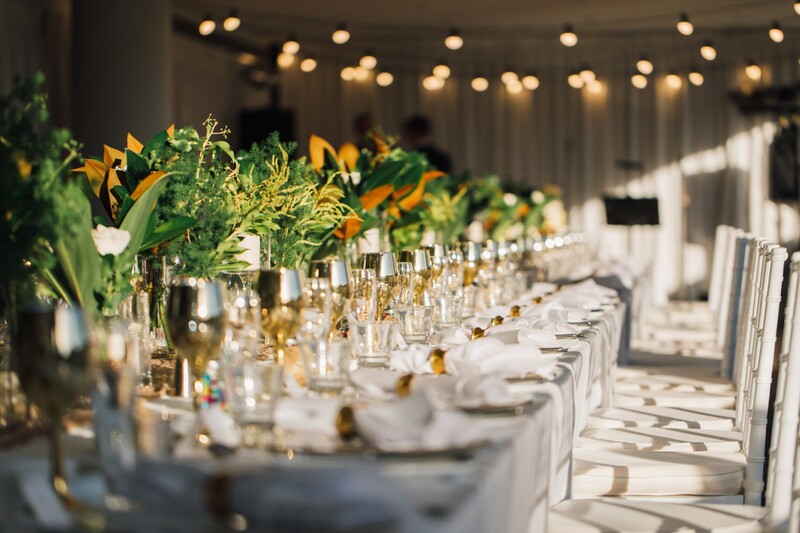 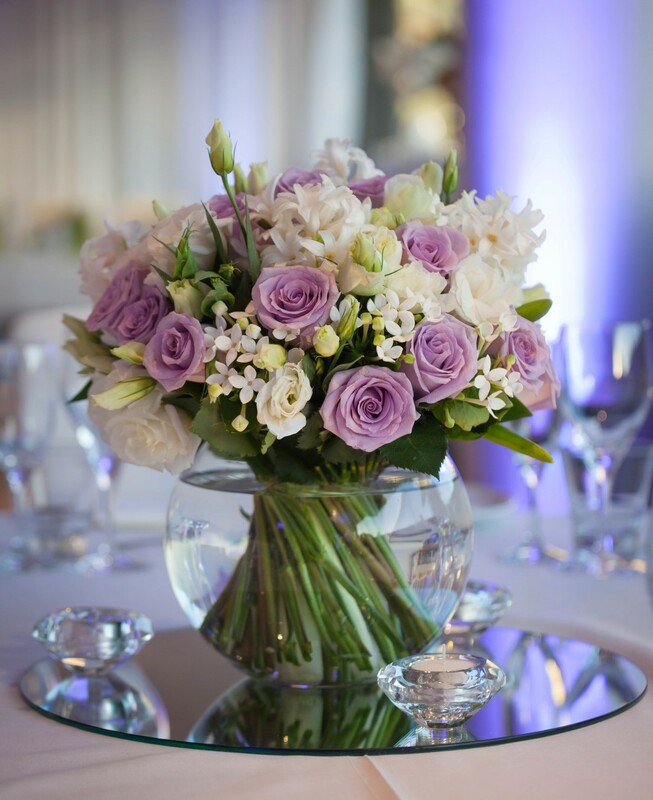 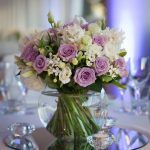 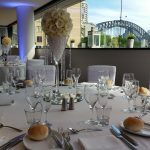 We offer modern facilities with quality cuisine, fine service and detailed wedding coordination all in a superb harbourside location. 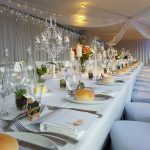 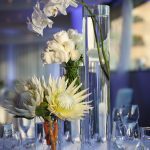 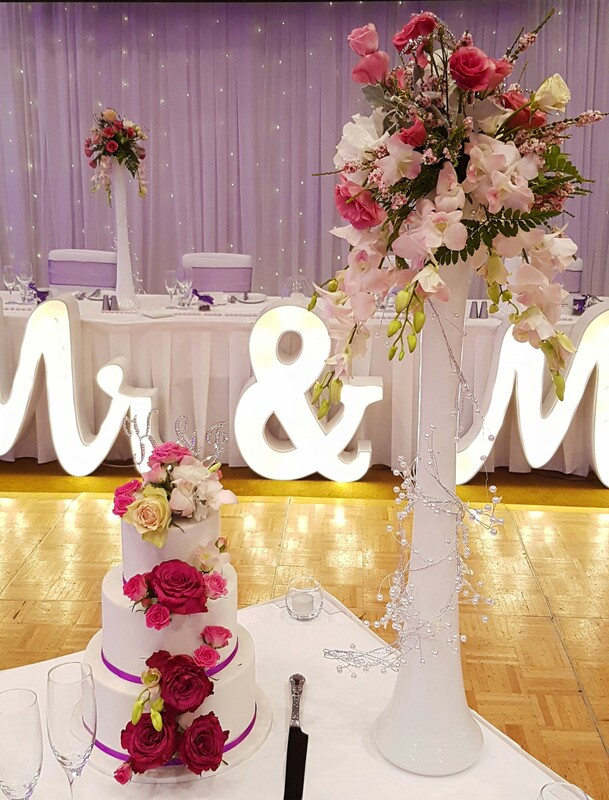 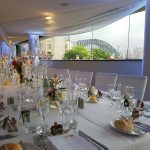 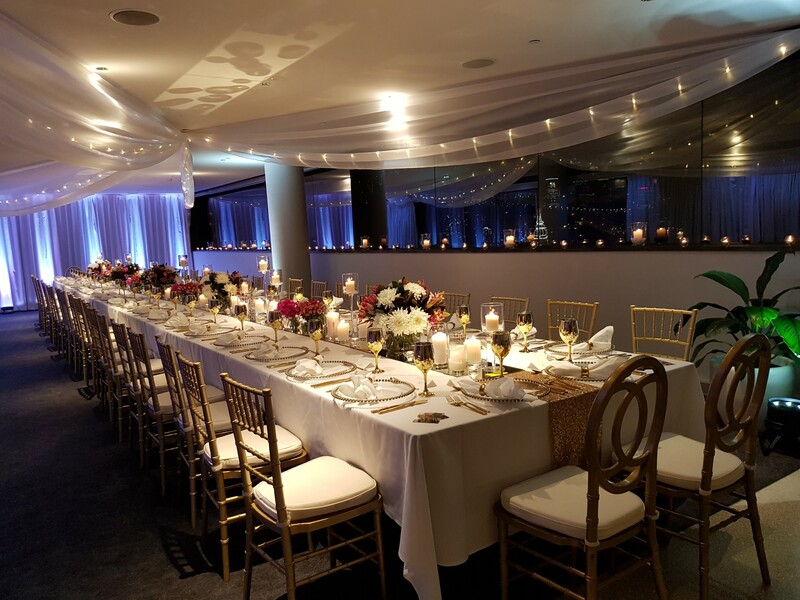 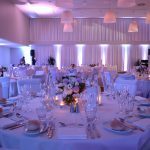 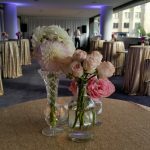 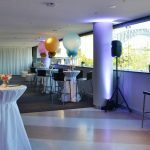 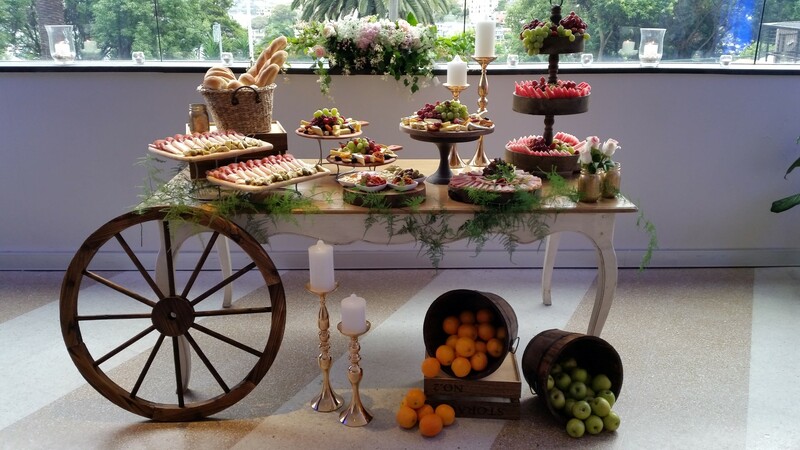 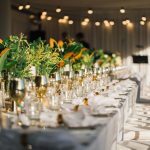 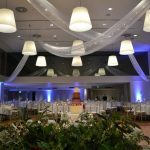 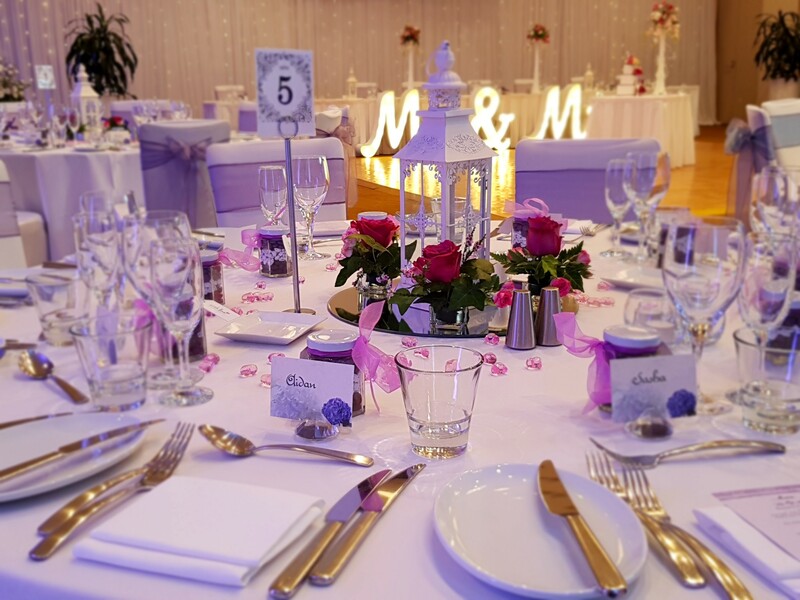 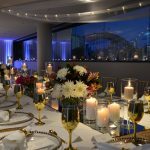 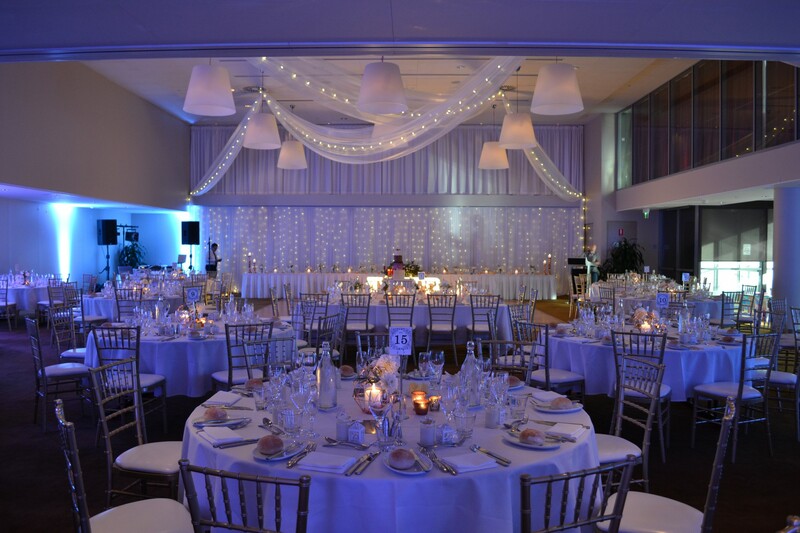 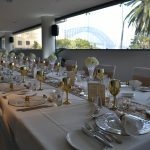 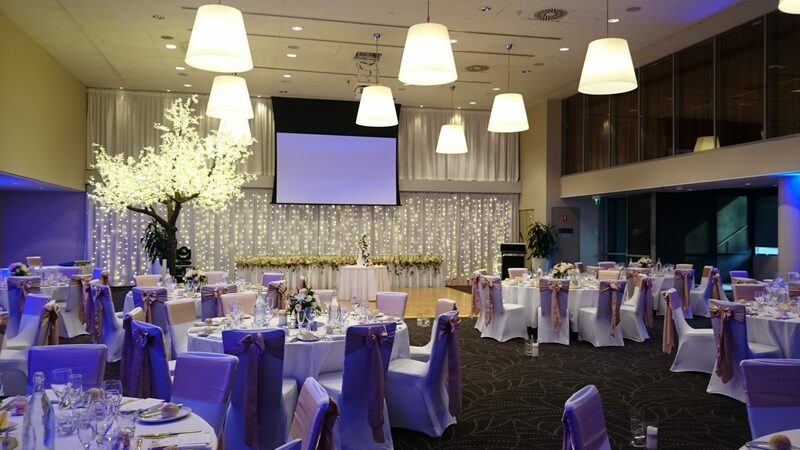 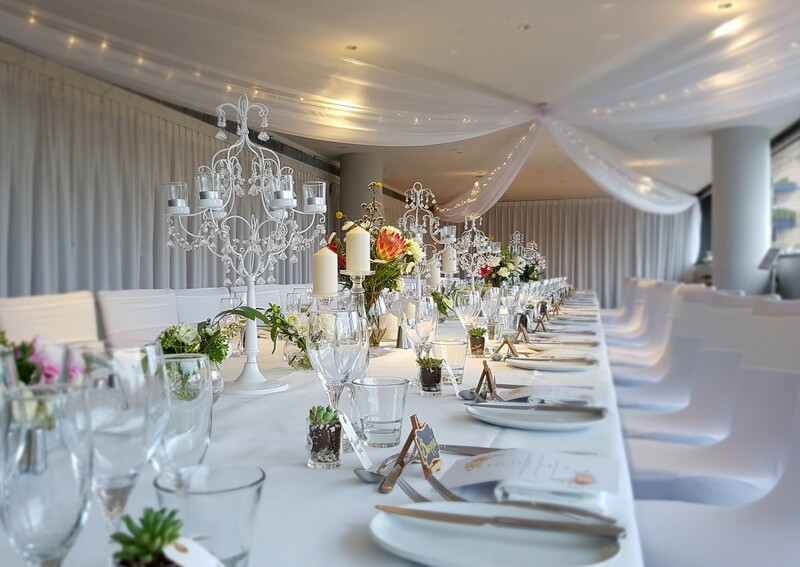 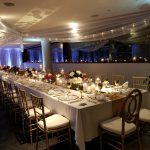 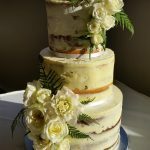 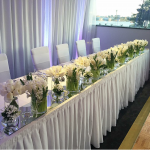 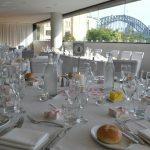 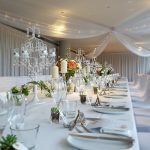 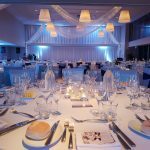 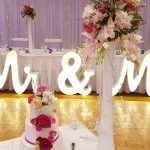 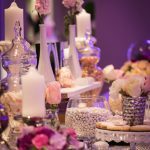 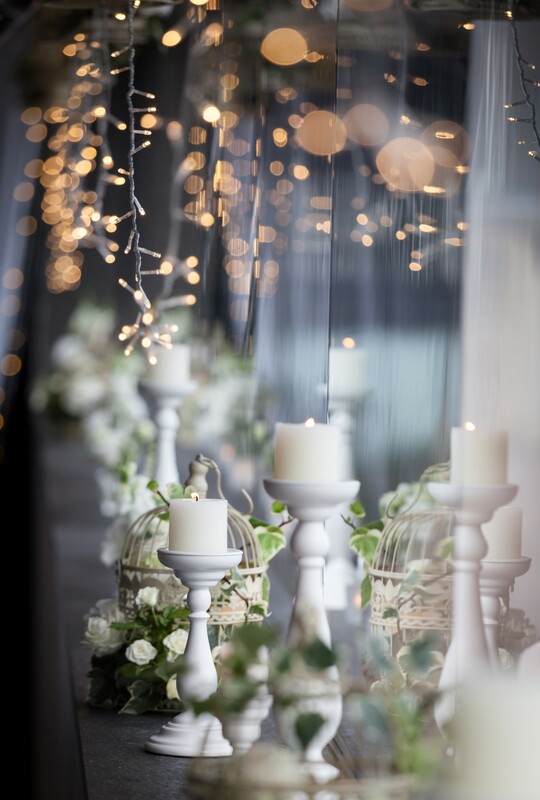 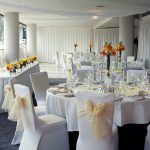 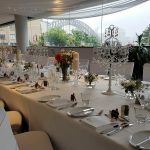 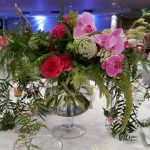 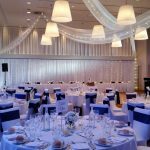 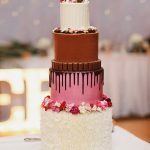 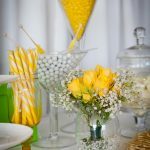 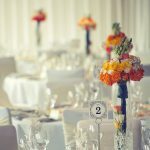 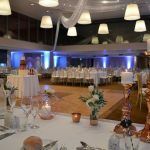 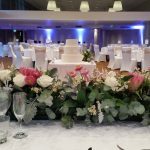 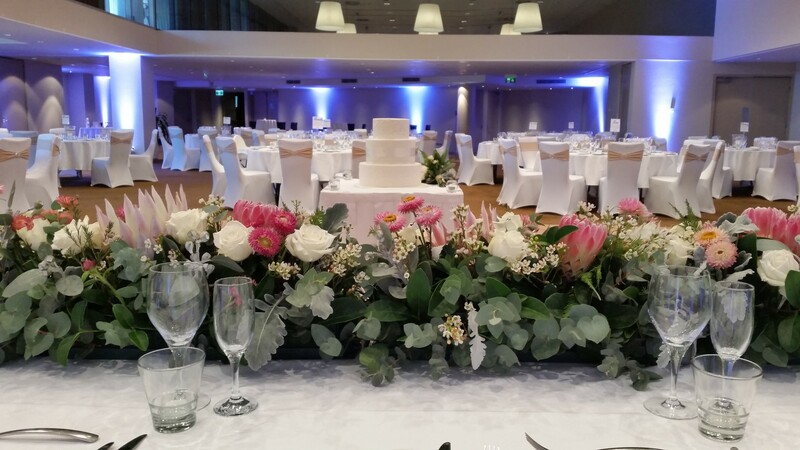 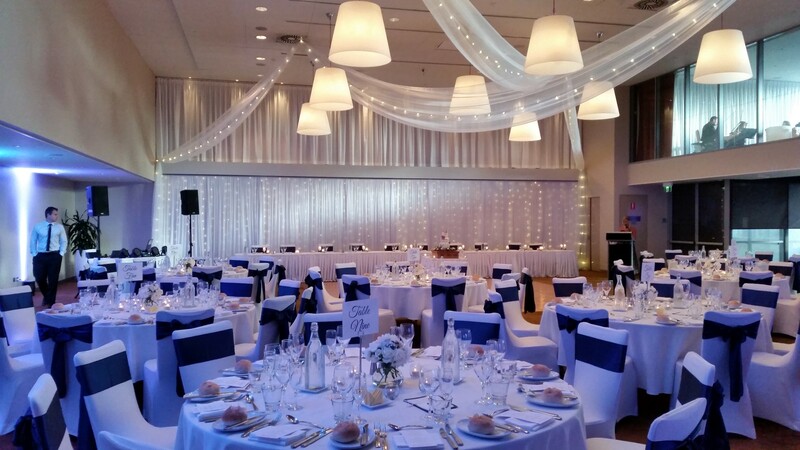 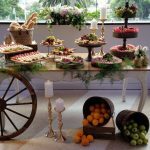 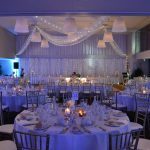 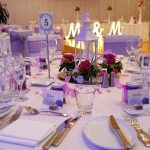 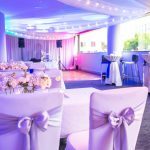 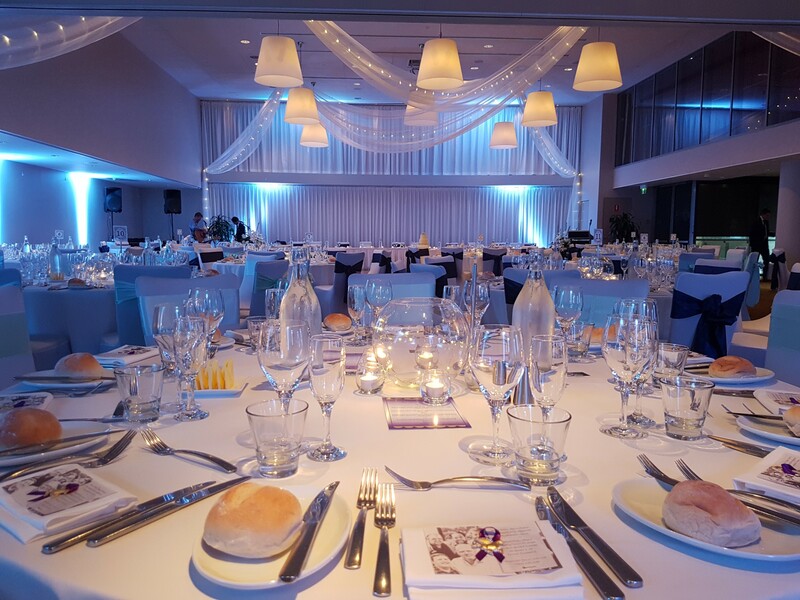 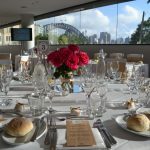 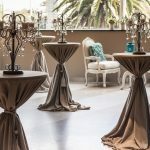 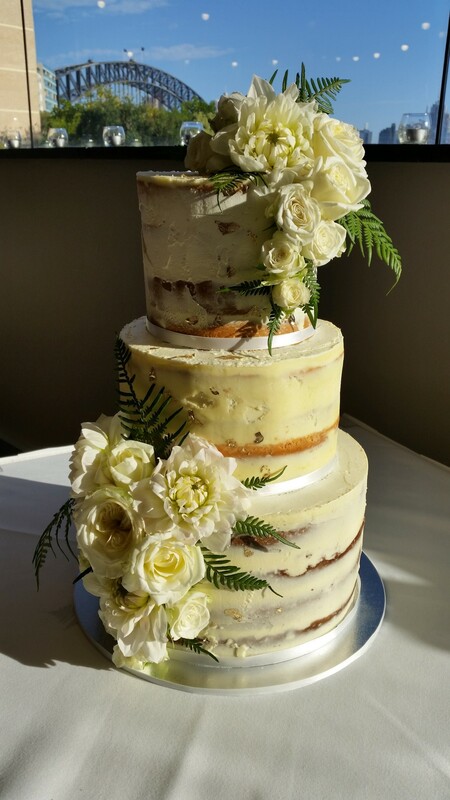 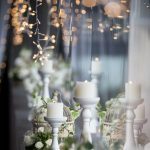 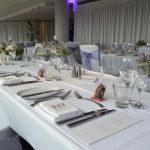 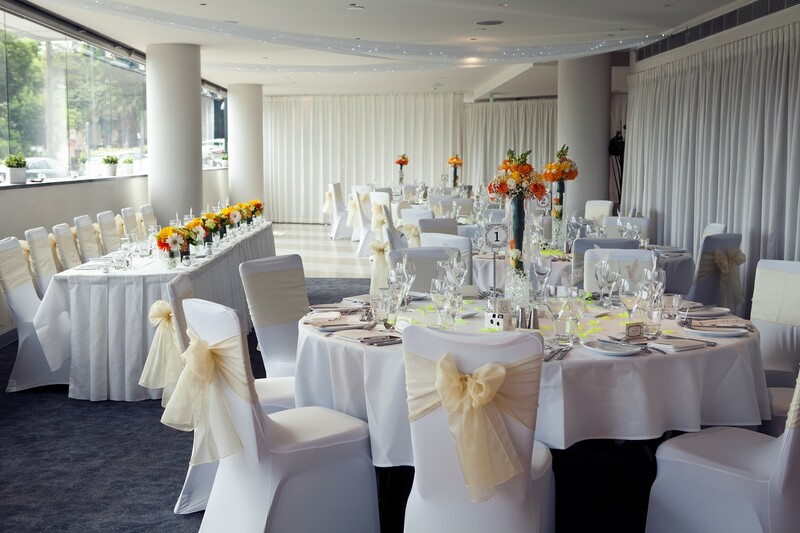 So if you desire a stylish cocktail party, boasting the backdrop of our beautiful Sydney Harbour Bridge or a sit down reception in our stunning Grand Ballroom, be assured that our wedding packages are exactly what you are looking for. 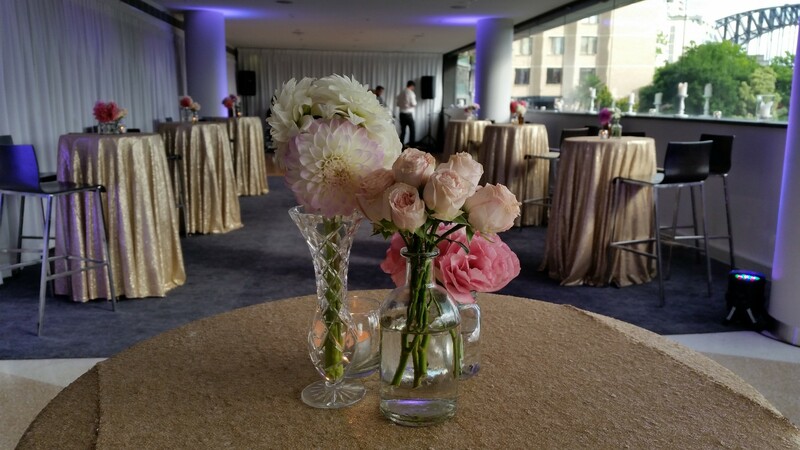 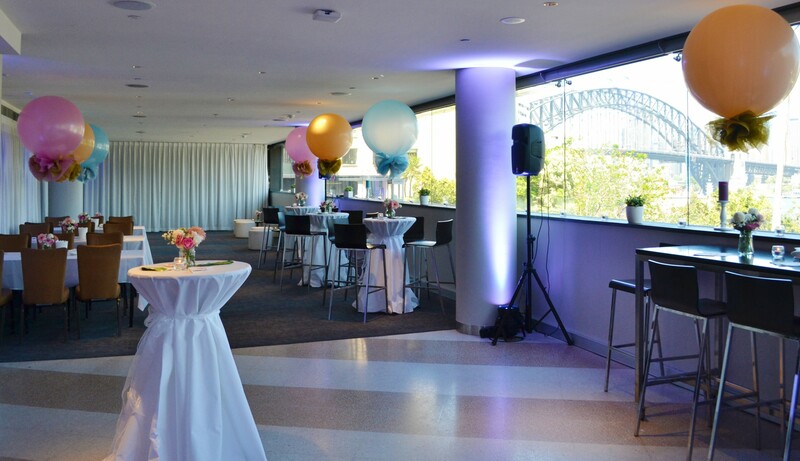 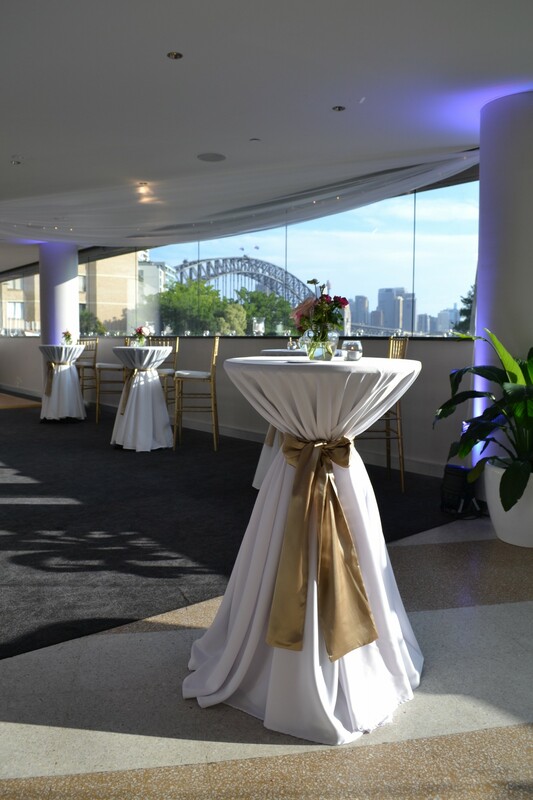 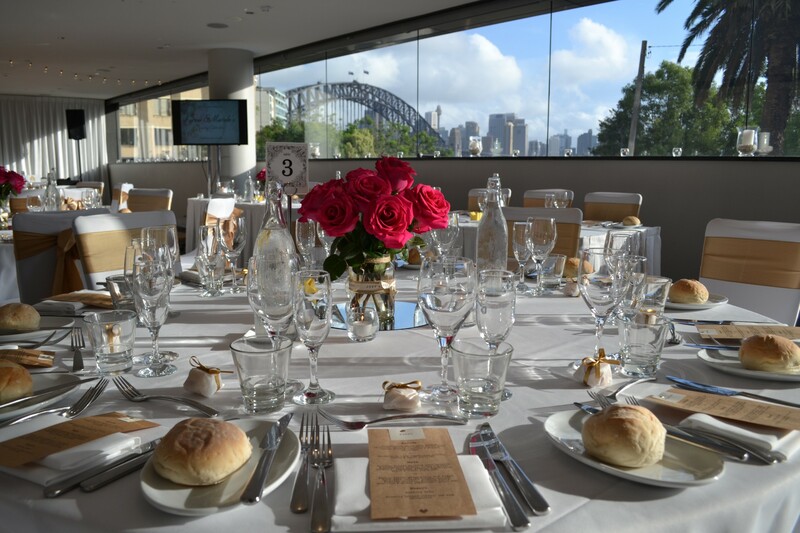 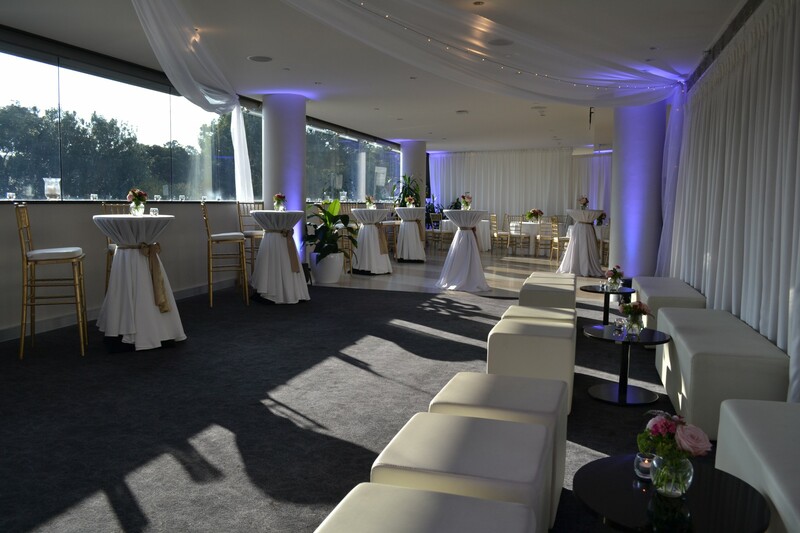 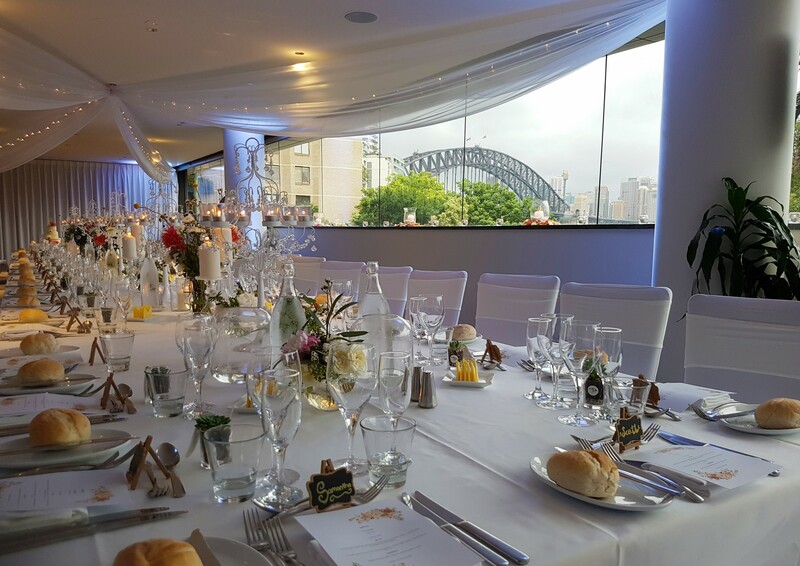 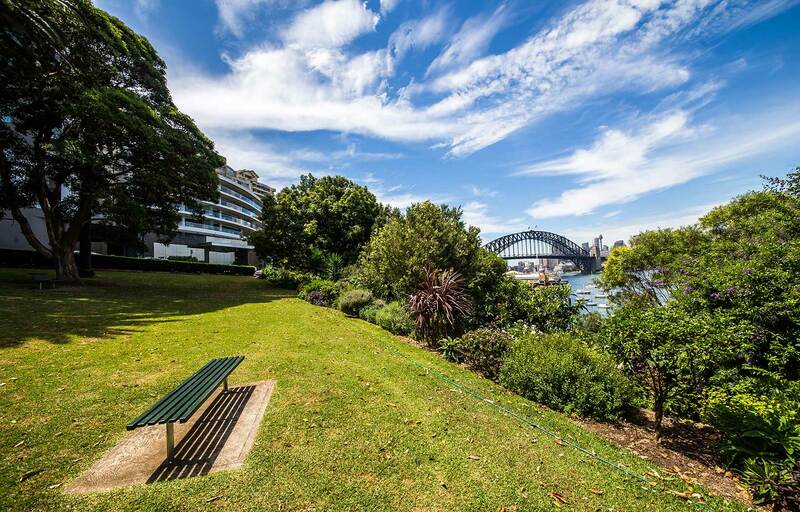 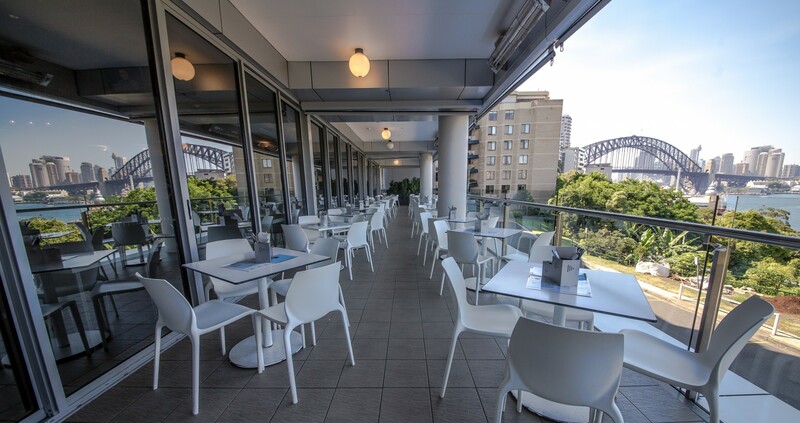 Our largest, newly renovated, room is entered via the stunning Harbourview Lounge which allows beautiful views of the Sydney Harbour Bridge, Lavender Bay and the Rocks for your guests pre-event experience. 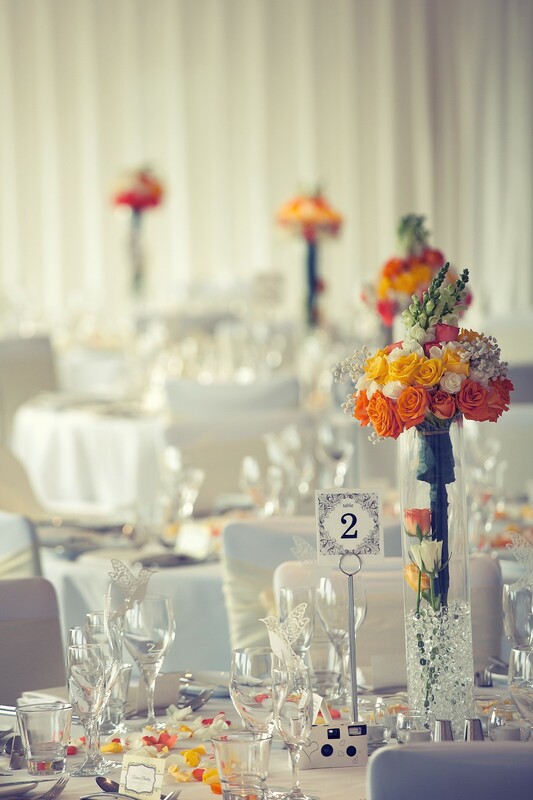 Our exclusively private Grand Ballroom seats from 80 up to 300 guests with a polished parquetry dancefloor. 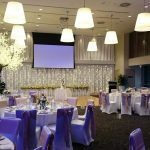 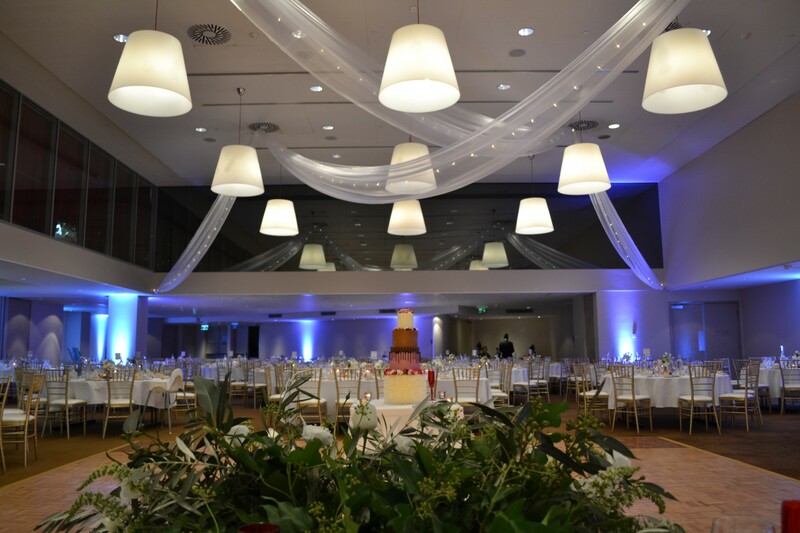 Your guests are welcomed into our warmly lit ballroom with your choice of vivid colored lighting, boasting a fresh interior with high ceilings, new soft luxurious carpets and a spacious floorplan with your stunning bridal table as the central viewing point, situated against a stark white backdrop. 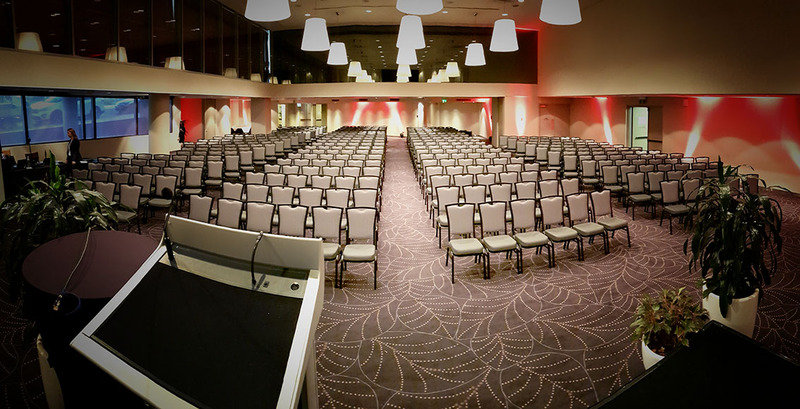 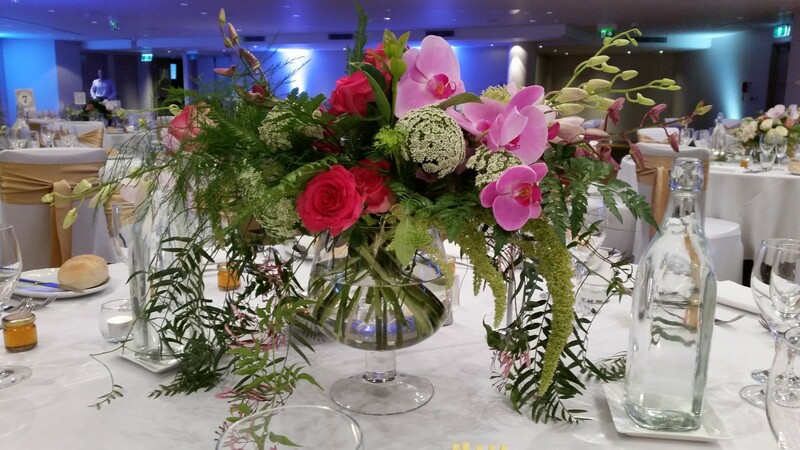 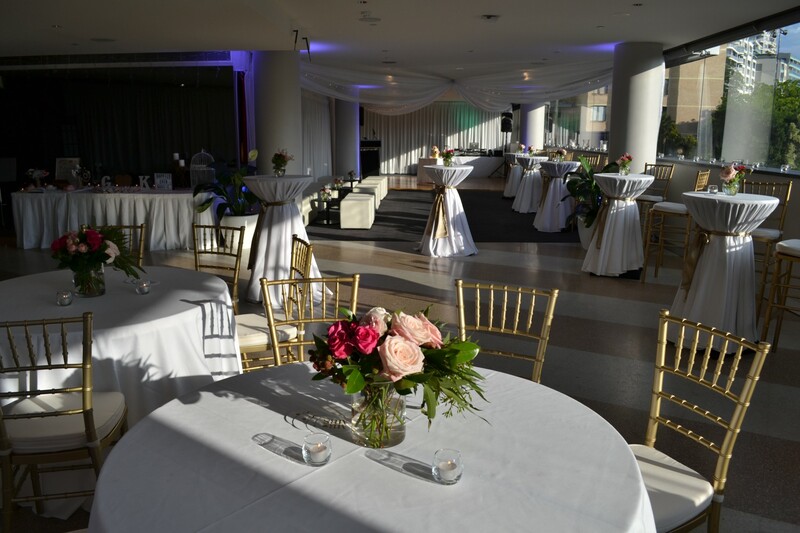 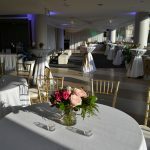 The Ballroom is truly a Grand space to host your event. 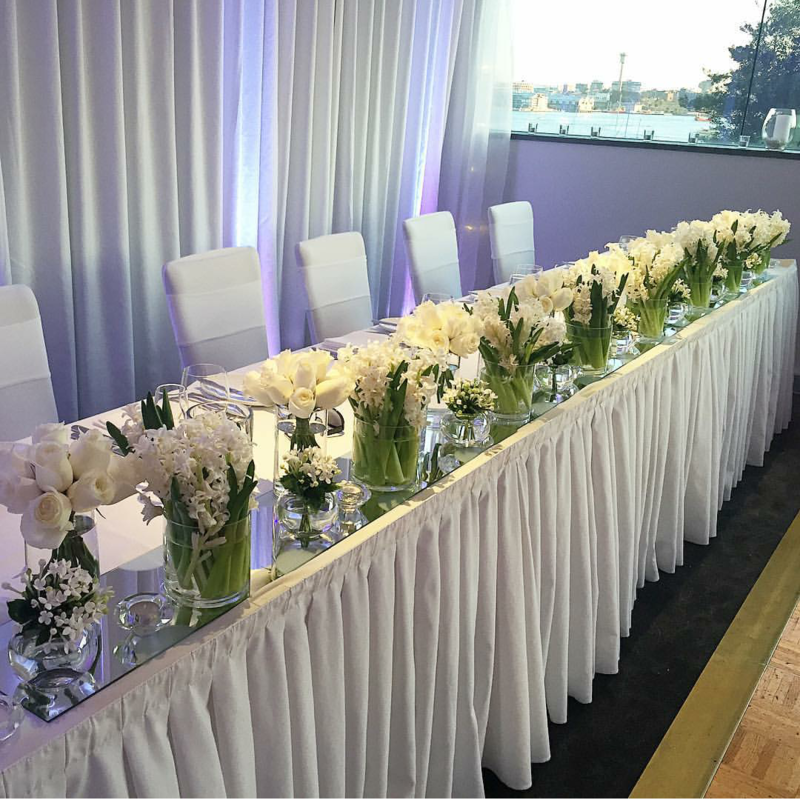 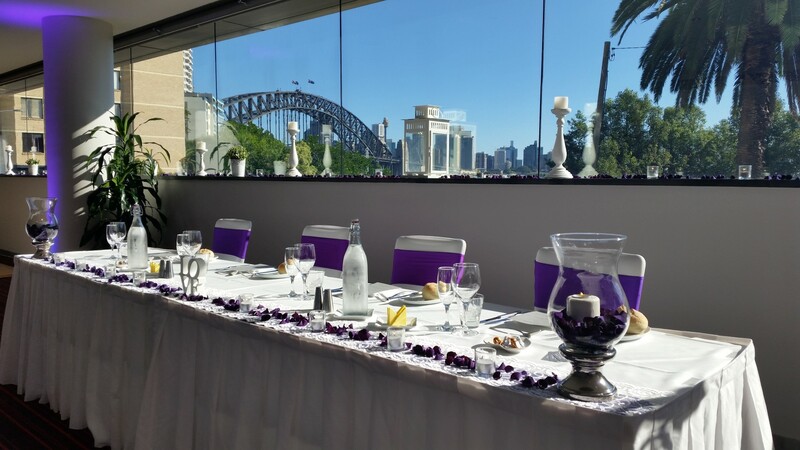 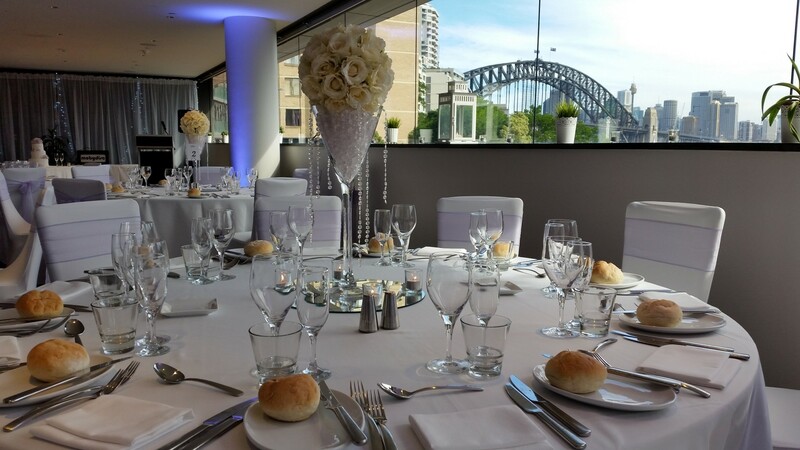 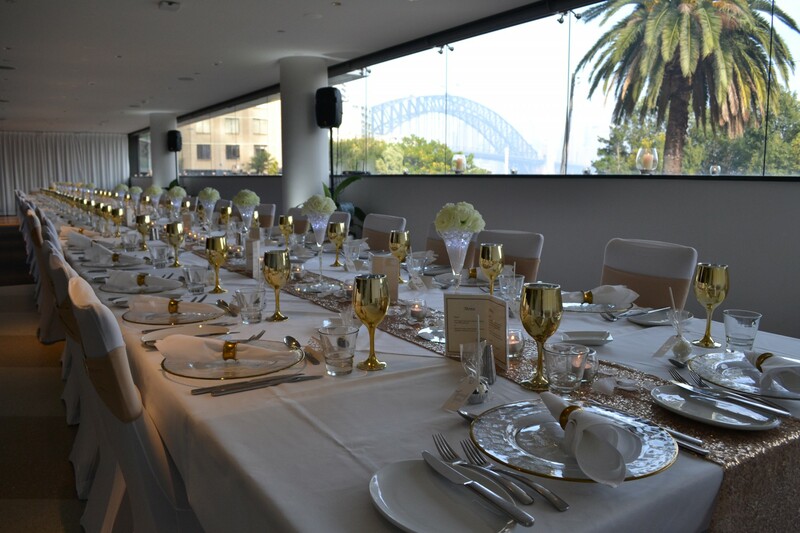 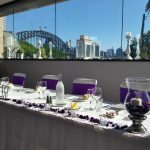 Overlooking the stunning Lavender Bay and complimented by the views of the iconic Sydney Harbour Bridge, our Harbourview Lounge sets an unique ambience for your special day. 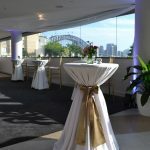 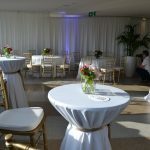 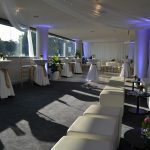 The Harbourview Lounge is a multifunctional event space, suitable for a cocktail style reception for up to 180 people or a sit-down dining experience for up to 80 guests including a polished parquetry dance floor. 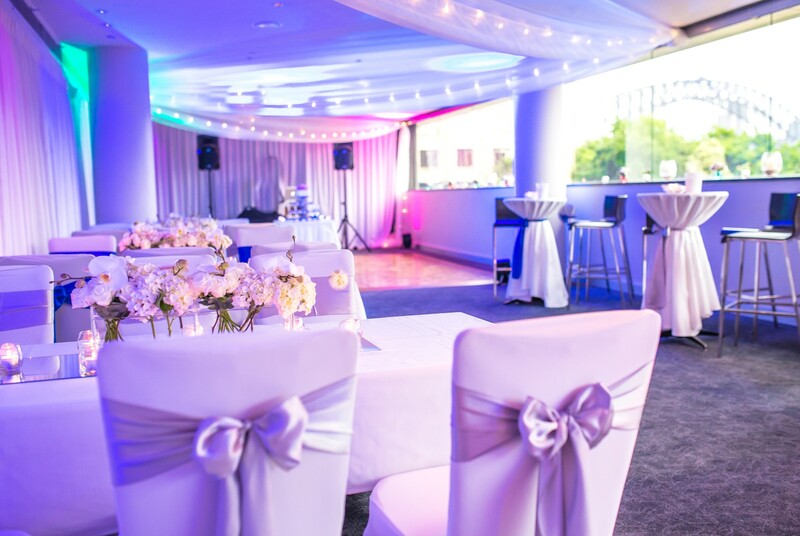 With its abundance of natural light, this charming atmosphere is further enhanced with your choice of dramatic coloured lighting. 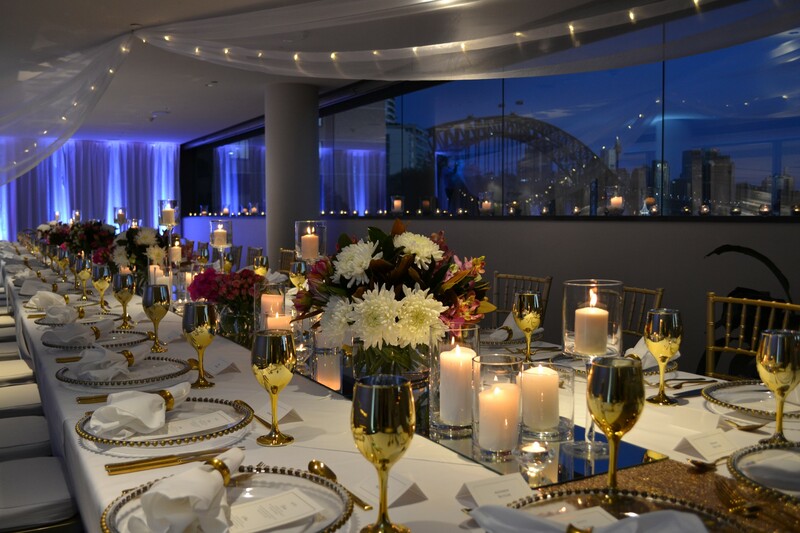 Guests are welcomed by a stunning wall to wall glass window overlooking Sydney’s most iconic treasure. 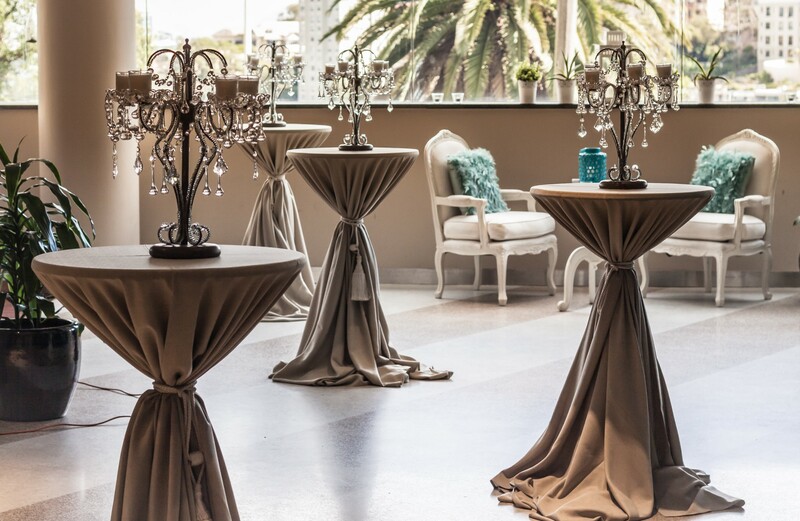 Marbled floors meet plush carpets, bringing you a breathtaking space for your guests to enjoy. 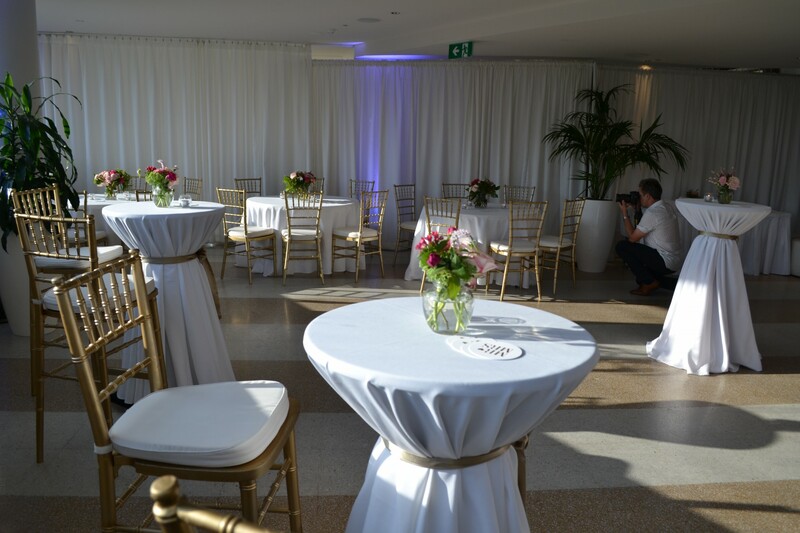 An event in the Harbourview Lounge will be cherished by all.